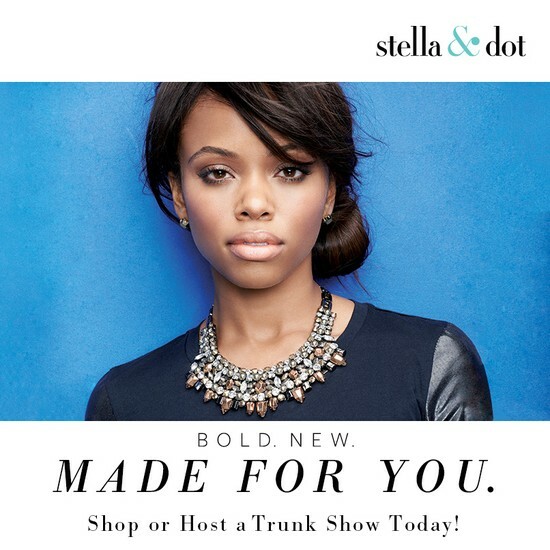 Join us for an afternoon of Sips & Style to debut Stella & Dot's Brand New Collection! 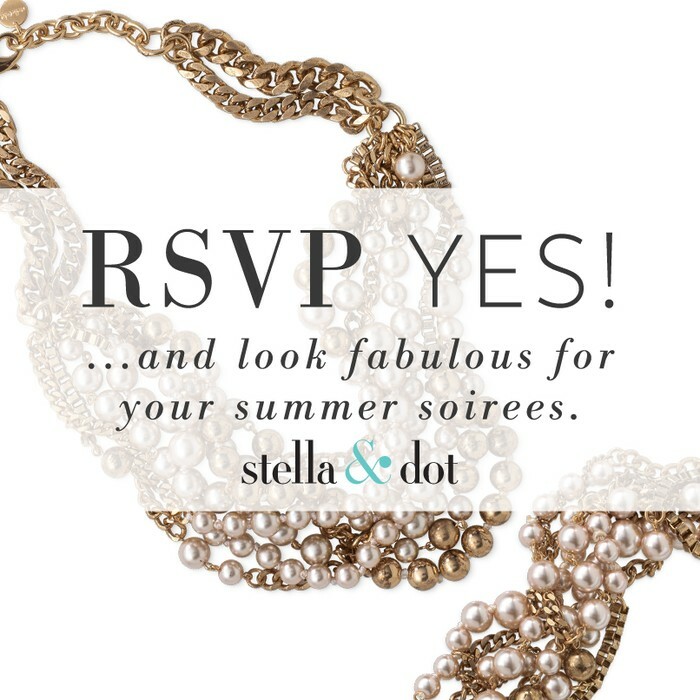 Swing by for a glass of wine (or two) and be the first to see the new collection by Stella & Dot. We'll catch up and play in the new jewels, handbags, totes, tech cases, and scarves. So, come see what is HOT for FALL! 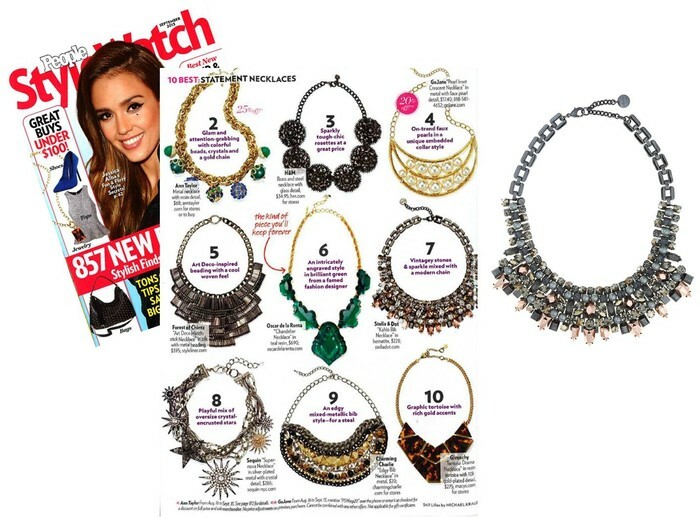 Stella & Dot in the Press! 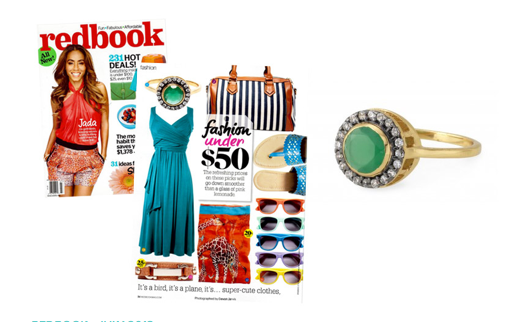 I love this pop of color finished with the mixed metal trend. 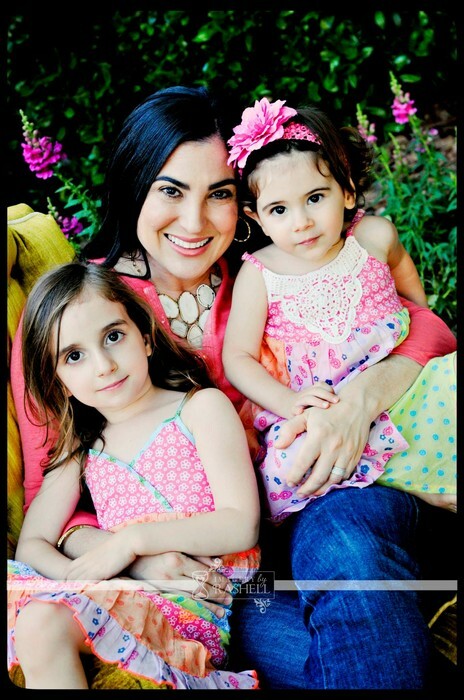 the Tessa Fringe Necklace has been a best seller at my shows since its recent debut. 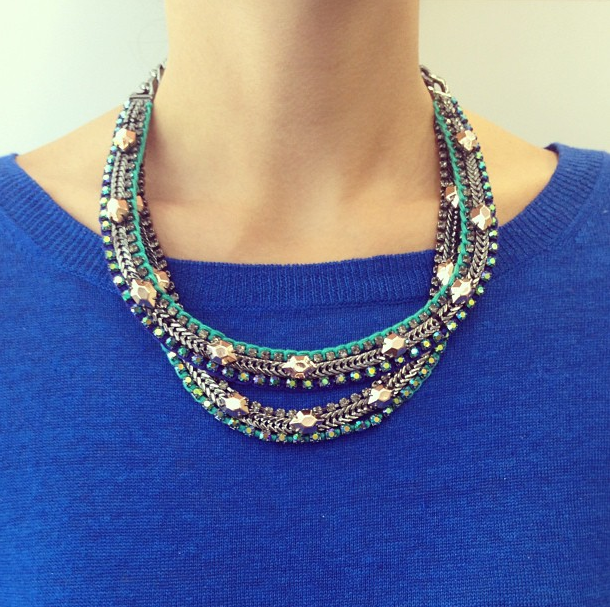 This statement piece will wow you from the second you try it on. Compliments galore!!! 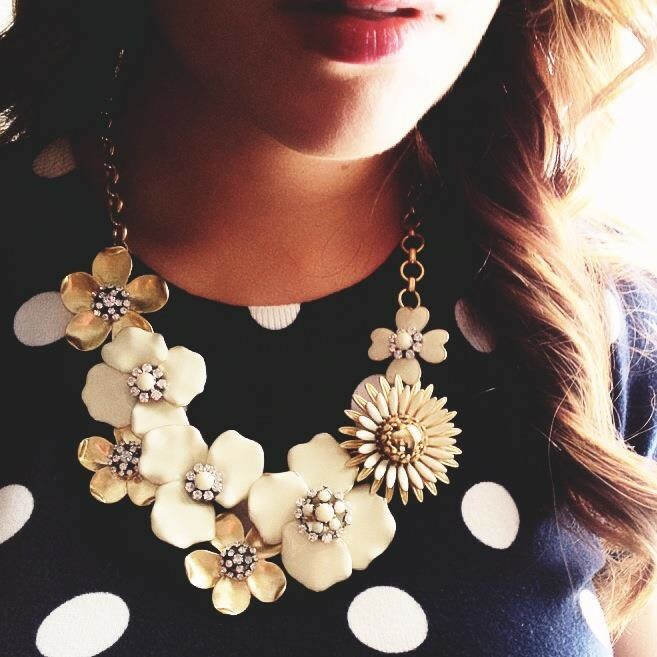 I love this necklace especially paired with polka dots as this Stella & Dot style fan shows here.